One of my favorite things about gluten free cut-out sugar cookies is how much fun they are to make! When the entire family gets together and spends time decorating cookies, it is always a blast and an excellent way to make memories. Of course, they taste pretty amazing too! It’s time to whip out the rolling pin, sprinkles, and food coloring and get to work on these easy cookie cutter cookies. 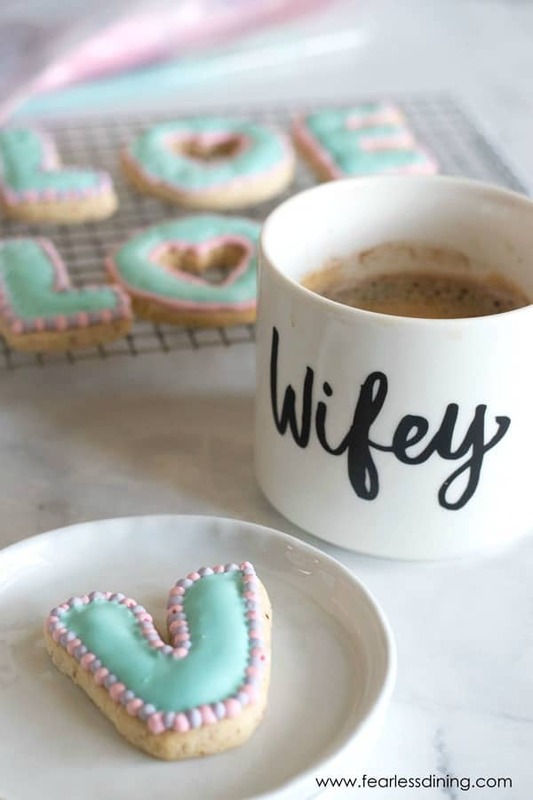 Every bite of these sweet, delicious gluten free sugar cookies will leave you begging for more. The royal icing is the star of the show not only because it tastes great, but because it is so easy to work with. 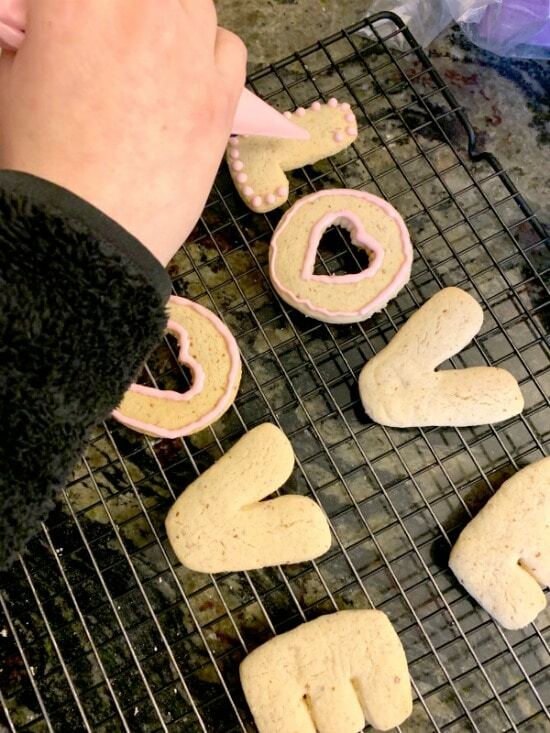 I love making these cookie cutter sugar cookies for Valentine’s Day and giving them out to all my friends and family. The hardest part is keeping Mr. Fearless Dining out of the kitchen, so he doesn’t eat them all! These cookies are just that good! Now, if you have never made gluten free recipes, I highly recommend you take a look at Gluten Free Pantry Essentials and Equipment Recommendations. This guide gives you lots of helpful information to get started! These gluten free cut-out sugar cookies are terrific if you need an idea for a potluck dinner, party, or even a cookie exchange for the holidays. I know that everyone is going to be begging for the recipe because they don’t taste like gluten free! Even the most experienced baker or cook has questions along the way. I wanted to take some time to answer the most common questions I get when it comes to baking these cookie cutter sugar cookies. How Long Will Sugar Cookies Last? The cookies can be refrigerated for up to a week, but they can get dry. We prefer to store the sugar cookies in the freezer, for up to three months. The most important part of making the cookies last is storing them in an airtight container. If you are decorating the sugar cookies, don’t frost them if you plan to store them in the freezer for best results. Can You Freeze Royal Icing? I always make too much icing! Yes, you can freeze royal icing for up to a month in the freezer. Just put one color of the royal icing in a ziplock plastic bag and remove excess air. Do a separate bag for each color. The thaw the icing out you can just allow it to sit on your counter until it is pliable and soft then it is ready to use. How Sugar Cookies Keep Their Shape? 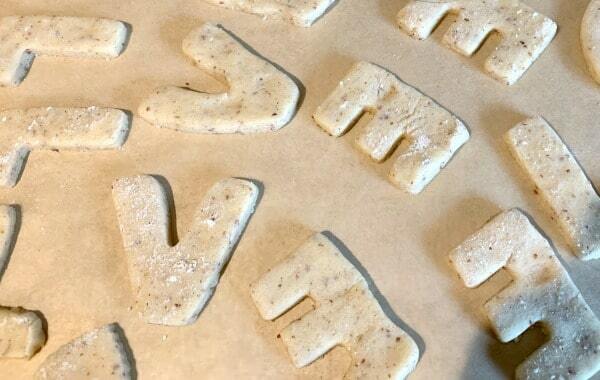 The best way to get sugar cookies to keep their shape is to roll out the dough, use cookie cutters to make shapes, place them on a pan with parchment paper then freeze them for ten minutes or refrigerate for up to thirty minutes. You should also run an oven temperature test to see that your oven is heating properly. Use an oven-safe thermometer that is placed inside the oven, preheat to 350 degrees and once it is heated check the thermometer. If it is higher or lower, adjust your oven temperature accordingly. Before we get into the actual recipe, I want to give you a few helpful tips that will save your sanity while you are baking the gluten free sugar cookies. When rolling out your dough, you want to make sure that it doesn’t get to thin. When the cookie is thin, then it is more likely to be brittle and break or crack. Use a silicone mat or parchment paper on your cookie sheet, so they don’t stick. This will help them from snapping in half when you are trying to remove them from the pan. One way to keep dough from sticking to cookie cutters is to dip them into a gluten free flour mixture in between cutting cookies. 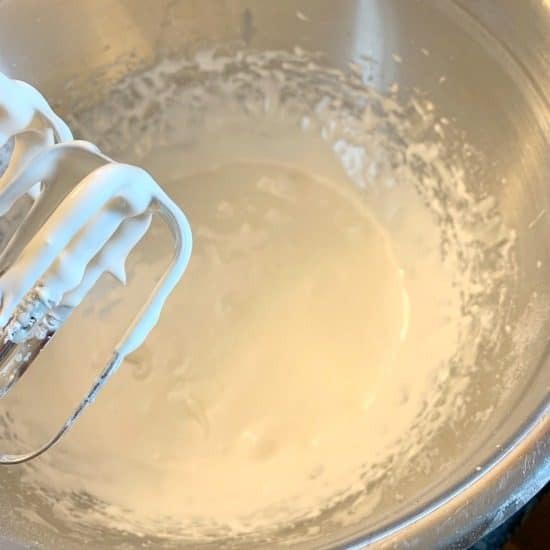 When mixing your royal icing, you never want to mix on to high of speed because it will introduce air bubbles and that becomes a pain for you when you are trying to decorate. So always use caution and mix at a lower speed. If your royal icing is too thick, just add a little bit of water to thin it up and it will be much more usable. Gluten Free Flour blend (*Note if your blend doesn’t contain Xanthan Gum, add 1 teaspoon). I have also used other brands of gluten free flour to make these including King Arthur, Pamela’s, and Authentic Foods Multiblend. Food coloring. I like to use more natural food colorings. Are you ready to make some cookies? Mix up your wet ingredients and pour into your dry ingredients. Mix well. You will want your cookie dough to be stiff. You will want to then put your cookie dough into plastic wrap and refrigerate it. 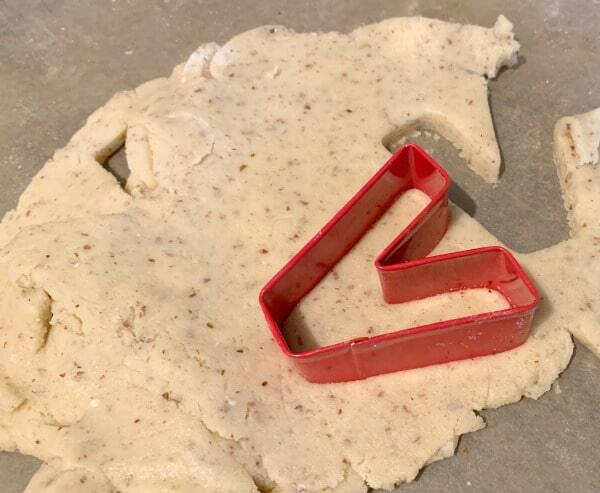 Roll the dough out and use your favorite cookie cutter to cut out your shapes. Set the cookies out on a baking mat or parchment paper. Bake at 350F degrees for 8 minutes. Time to make the Royal Icing! (Sorry this picture isn’t great…but you can see the thickness and consistency.) My daughter took the finished icing and divided it into bowls. She added food coloring to this. Add each icing color to a frosting bag. My daughter squeezed out the icing to do the edges first. She used the pink to dot the edges. It is very important to let those dry before doing the next color dots along the edges. Next, to fill the middle area between the edge icing, squeeze icing in the middle. Use a toothpick to spread the icing around carefully. When you are finished baking your cookings, and they are all iced, you can also decorate them with your favorite sprinkles. This recipe is fantastic because you can make the gluten free sugar cookies to fit any theme or style you are looking for. You will end up with a beautifully elegant cookie that tastes so good you can’t help but gobble up every crumb! Looking For Some More Dessert Recipes? An easy gluten free sugar cookie recipe that makes wonderful cut out cookies. Decorate with this easy royal icing tutorial. In a bowl, add the cookie dry ingredients (gluten free flour and sugar) and whisk to blend. In a small bowl, add softened butter and vanilla. Mix well. Pour the wet ingredients into the dry ingredients and mix. Take the dough ball and wrap it in plastic wrap. Chill for 45 minutes. 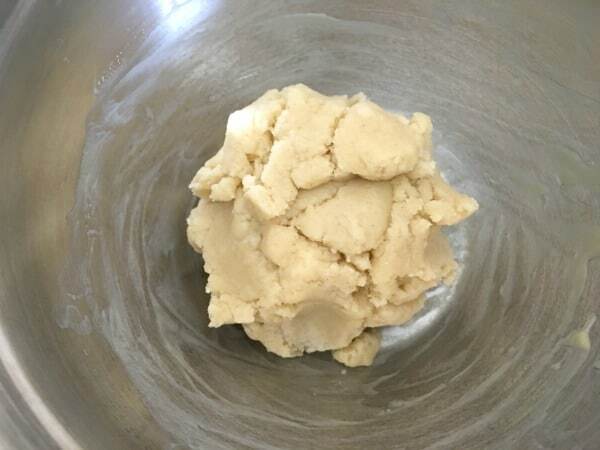 Remove the dough ball and roll the dough out flat. Use cookie cutters to cut shapes. Place the shapes on a parchment lined baking sheet and bake for 8 minutes. Remove the cookies and cool on a cooling rack. Time to make royal icing! In a mixer, add powdered sugar, egg whites, cream of tartar and salt. Slowly mix the icing for 9 minutes until it becomes somewhat fluffy and thick. Decorate your cookies, don't forget to let each color icing dry before adding another color, otherwise the colors can run together. These are adorable! What a sweet idea for Valentine’s Day! 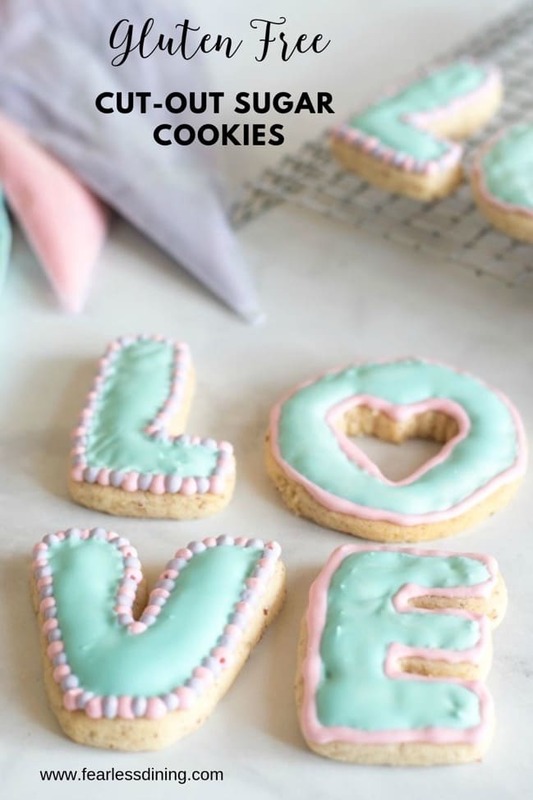 These cookies are such a fabulous idea! I think they are perfect for Valentines day and I can see why everyone of your friends and family would love them. I will have to give them a try. Cheers!! Thank you so much Adrianne. How cute are these! The perfect sweet treat for someone that can’t have gluten with V-Day. My daughter had so much fun, they are so easy to make. These cookies are so cute and look so tasty too! Great tips to make these sugar cookies. 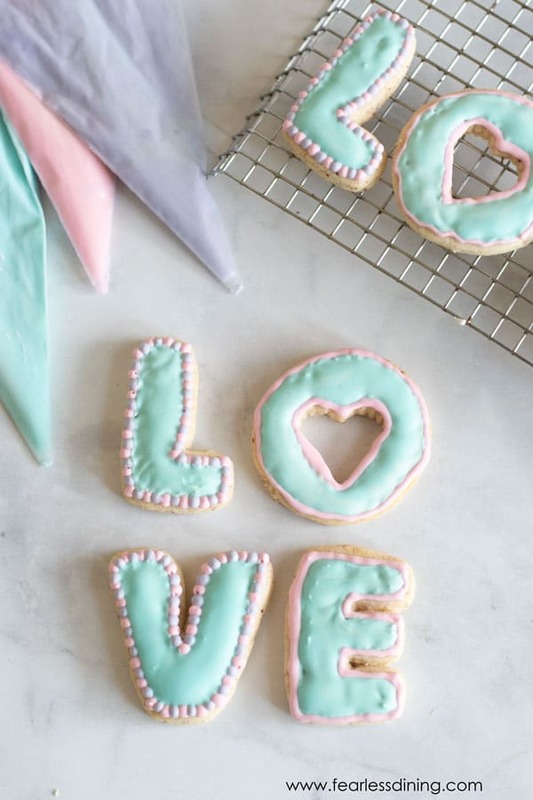 Oh wow, how lovely are these valentine’s cookies! 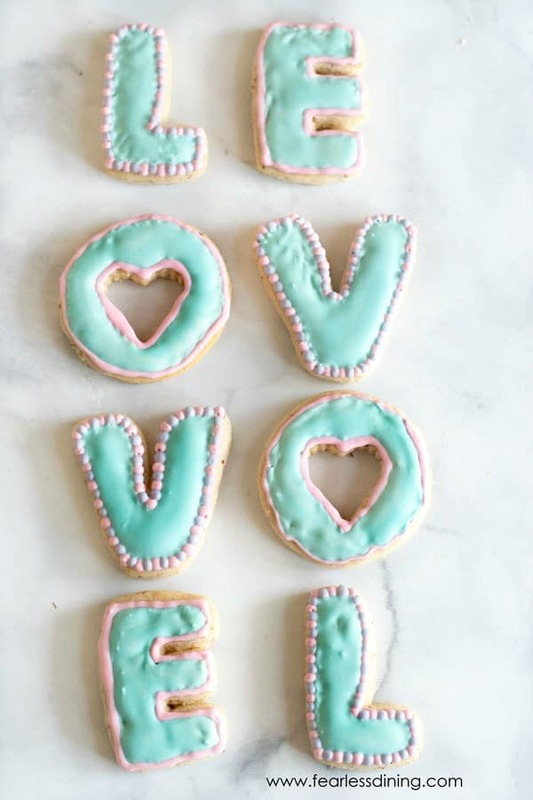 I also like the color of the icing like Tiffany blue very cute. I need to make these!